Two weeks ago was the first meeting between these two sides, and it was Salmon Arm coming from behind in the third period to tie the game and eventually win in overtime. Trevor Adams scored the opening goal for Salmon Arm, Nick Unruh scored twice, and Hudson Schandor had the OT winnerfor the Silverbacks. Ethan Langenegger stopped 24 of 27 shots for the win. His biggest save came on Alex Swetlikoff in overtime who came down on a breakaway. The projected NHL draft pick this Spring was denied, and Salmon Arm went back the other way to score the game winner. Salmon Arm is coming off a busy weekend that saw them play three games in 2.5 days. 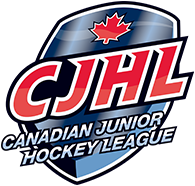 They started with a loss in West Kelowna but rebounded with wins over Trail and Prince George to pull out four points and put the team second in the Interior Division. Vernon was on the Island, picking up three of a possible four points. They began in Powell River falling in a shootout before shutting out the Alberni Valley Bulldogs 4-0. One of the main keys for Salmon Arm will be getting over their road woes. 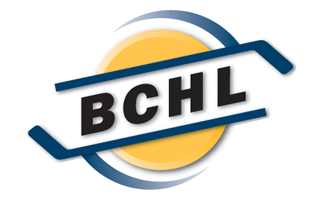 Their only two wins away from the Shaw Centre came at the BCHL Bauer Showcase. They are 0-6 in other team’s rinks, and have been outscored 28-8. In the last three games they have scored just one goal on the road. Another focus for Salmon Arm will be their starts. In 18 games this season, they have scored the first goal just four times and are 3-0-1 in those games. Vernon has played 17 games scoring the first goal on 12 occasions. Silverbacks: Missing last weekend due to sickness, John Little will slot back into the lineup for the Silverbacks against their Southern rivals. This season in 13 games the Parksville product has one goal and one assist to his name. Both of his points have come against divisional teams. With Noah Wakeford in the lineup, the Silverbacks receive one of their top forwards after he missed last weekend with an upper body injury. Prior to the injury he had three assists in the last two games. Vipers: Stopped on a pair of breakaways in the last meeting, the one goal and one assist night for Alex Swetlikoff could have been much more. The 2019 NHL Draft prospect sits on an even five goals and five assists in 14 games this year. He already has more goals than last year where he had three in 51 games. Missing the first game this season against his former team, Josh Latta should slot back into the lineup against Salmon Arm at home. In 14 games this season the West Van boy has nine points. The Vipers have struggled to score this season, with their leading forward Jagger Williamson having just 11 points.